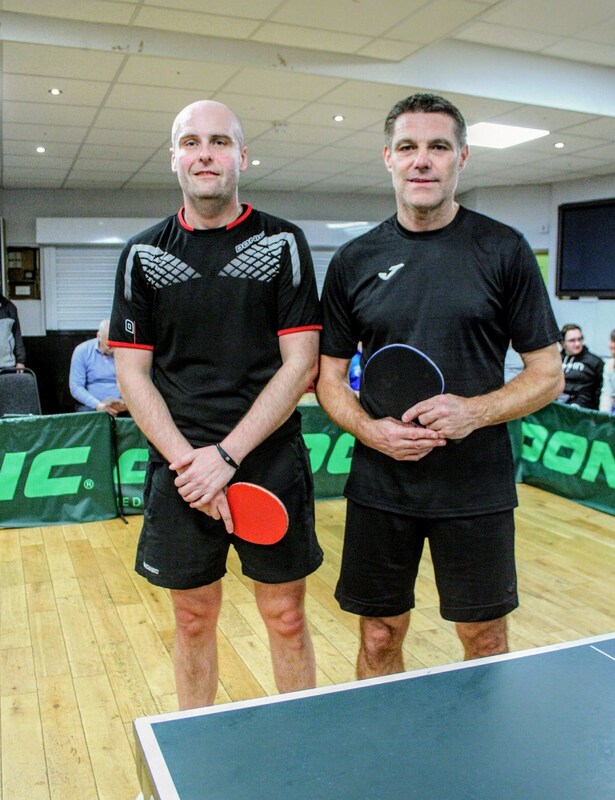 The Southend & District Table Tennis League’s 2019 Closed Championships were held at 4 Venues over the past week, commencing on the 12th February, with over 100 players playing around 1000 matches; which involved a massive amount of voluntary help. Finals night, held at the Hullbridge Sports Association’s Venue. The first matches on last night were the Under 21s Semi Finals. 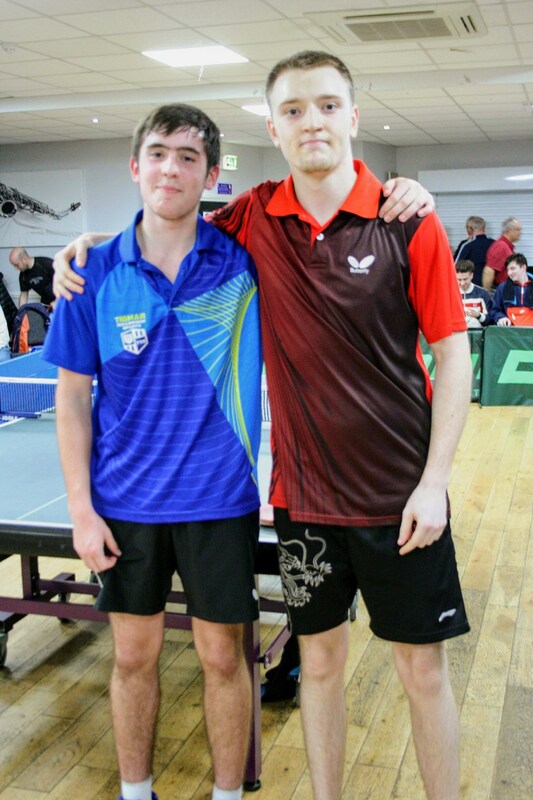 In the first Semi, Liam Squirrell (Thorpe Bay) beat Dan Zeffie (Hullbridge) 12-10, 11-8, 11-9 and in the other Semi, Dan Young (Hullbridge) beat team mate Harry Keys 11-5, 12-10, 11-8; all these players have much improved this season and all are doing well in the Southend Premier Division. Next was one of the Semi Final of the Open Vets Singles that couldn’t be played during the week and this saw the Vets favorite Paul Sayer (Thorpe Bay) have a very close match against Hullbridge’s Gary Young, winning 4-11, 11-8, 18-16, 15-13. Next were the Men’s Singles Semi Finals. Sadly due to an important business Meeting in Milton Keynes running late, Paul Whatton (Thorpe Bay) had to withdraw, which saw favorite Matt Spero (Rawreth) move into the Final. The other Semi saw unseeded, but fast improving Essex County Junior Rep, Dan Young (Hullbridge) face Rawreth’s Ben Warner. There was a lot of good Table Tennis played, with Dan reaching the final winning 7-11, 5-11, 11-3, 11-8, 11-5: a very impressive performance. The first Final of the evening was the Vets Singles Final between Thorpe Bay’s Paul Sayer and Rawreth’s Kevin Read. This was an extremely good match, with many great attacking shots from both players, with Paul winning 11-8, 7-10, 11-6, 11-7. Next on was the Under 21s Final which produced the match of evening with a nail biting win for the Number 1 Seed Liam Squirrel (Thorpe Bay) who just edged it against Hullbridge’s Dan Young. Both players having had a great Championships. 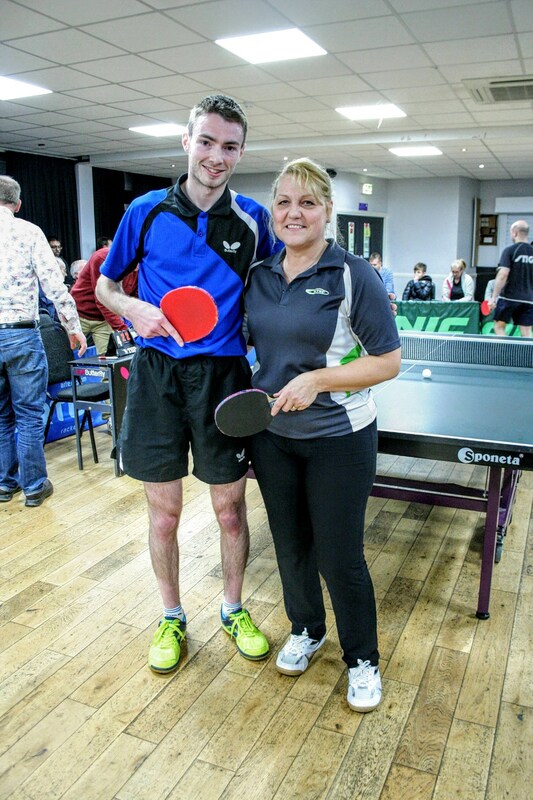 Liam winning 10-12, 8-11, 11-9, 18-16, 12-10 to follow on from his win in the Premier Restricted Singles on Saturday. 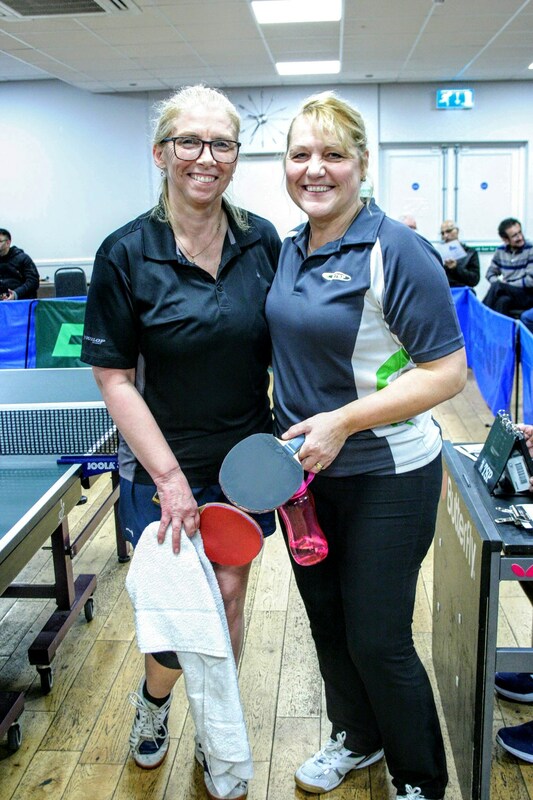 The penultimate Final was the Ladies Singles where Hullbridge’s Dawn Baldry beat Runnymede’s Tina Hutchinson in an entertaining attacking match 11-7, 11-4, 11-4. Dawn has only just started playing in the Southend League, but has had many successes in our neighbouring Burnham & Chelmsford Leagues and its good to see Dawn playing in our League. Under 21s Division 3 Singles Aaryan Vatsa (Hockley) beat Charles Kauders-Boothby 11-9, 8-11, 11-8, 6-11, 13-11 in one of the closest matches of the Championships. These youngsters are part of the 3 highly successful Junior Clubs in our area of Hockley, Hullbridge and Rawreth Juniors. These Junior Clubs are very successfully run by Tim Pang (Hockley), Howard Grant (Hullbridge) and Mel Jones & Andy Nunn (Rawreth Juniors). Over 70s Singles. 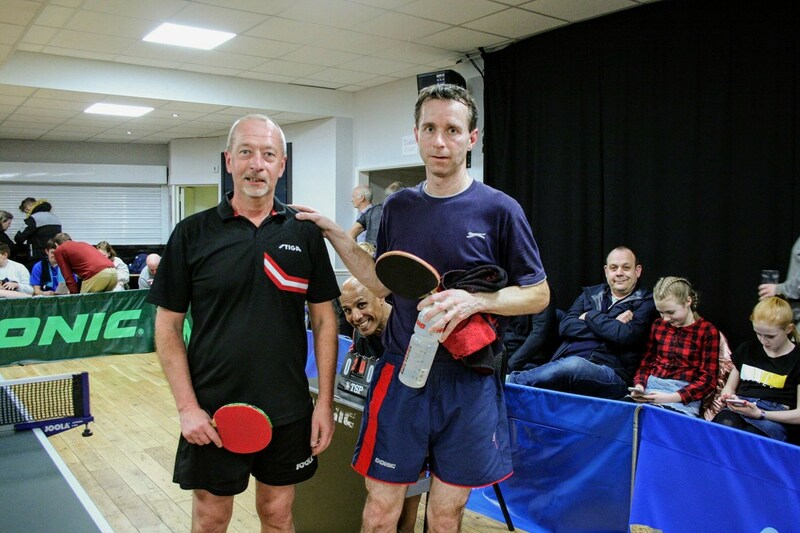 This event was played as a Round Robin with Champion Mick Tappenden (Hadleigh Forum) finishing with 4 wins and runner up Peter Cranmer (Lentern) 3 wins: Peter just edging out John Lott (Lentern) and Dave Kirston (Lentern) in the count back, who also both had 3 wins. 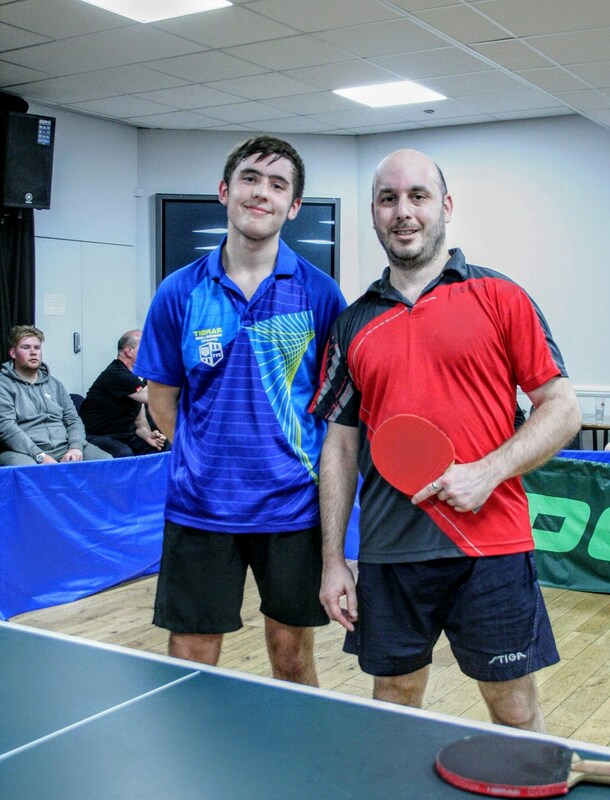 Div 2 / Div 3 Handicap Singles A Due to this Event starting late in the day, it was reduced to single set matches, with Hullbridge up and coming Junior Toby Zeffie getting the better of seasoned campaigner Adrian Armstrong (Stanford Le Hope) 21-16. Men’s Plate Singles. This is always a good event on the final day, with those finishing 3rd in their Group or knocked out in the first round taking part. This was won by Ian Wall (Hockley) beating Gurjit Bhambra (Thorpe Bay) 11-8, 11-3, 11-9. Finally the Saturday Restricted Events. As in past years, The Divisional Restricted Singles Events were all played up to 15, with no deuces and best of 3 Sets. This has always been a popular Event. Jayne Johnson and Anthon Ranjit-Singh who put a massive effort into the running of these Championships to make them the success they were: I thoroughly enjoyed working with them. Anthon and Jayne for running the Vets Singles on Tuesday at the MegaCentre and the Hullbridge Sports Association. Jayne and Anthon for working with me throughout the Weekend at the Rayleigh Leisure Centre. John Poysden, Duncan Taylor, Charles Sweeny, Kevin Read and George Reeves, our Seeding Committee and our Disciplinary Committee, should any problems arise at the Championships or during the Season. The Hullbridge Sports Association for allowing us to use their excellent venue for our Finals night and Leslie and her Bar Staff for keeping us plied with drinks. The Rawreth TTC for the use of their Venue. Tom Cutler, John Denison and their colleagues at Topspin Sports for supplying the Equipment and running an Equipment Shop on Sunday: and how nice to see the highly ranked Clive Carthy turn up to help Tom. Paul Reed for running a Raffle at the Rayleigh Leisure Centre which raised £66.00. Anthon Ranjit-Singh, Dave Zeffie, Duncan Taylor, Dave Calleja, Paul Brown, George Reeves and our President Stuart Gibbs for Umpiring the Finals. Howard Grant for setting up the Hall on Finals night and the Vets Singles night. Mel Jones and Andy Nunn for getting there early on Finals night to help set up. And in case I’ve forgotten someone, to all those Southend Members who played their part in these Championships. Finally to all the Players, Parents, Coaches and Supporters, who played their part in making these Championships, so very enjoyable. Ken Field, Chairman of the Southend & District Table Tennis League, on behalf of the SDTTL’s 2019 Annual Closed Championships’ Committee of Jayne Johnson (Hullbridge Sports Association), Anthon Ranjit-Singh (Hadleigh Forum) and myself (Rawreth).